December 2, 1980. 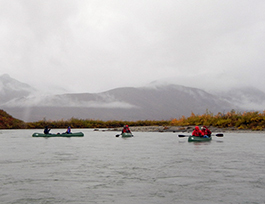 The river from its source in Gates of the Arctic National Park to the Kelly River in the Noatak National Preserve. Wild — 330.0 miles; Total — 330.0 miles. Situated in Gates of the Arctic National Park and Preserve and Noatak National Preserve, the Noatak drains the largest mountain-ringed river basin in America that is still virtually unaffected by human activities.